I am pleased to report that due to extraordinary efforts from a large team who have worked to dry-out and fix the damage caused by flooding inside the new Outpatients building, most of the building will reopen to the public on Monday 15 April. The necessary repairs and testing have been carried out to ensure it will be safe for staff and patients to reoccupy most of the building. Unfortunately some areas of the building that were worst-affected on the ground floor and parts of the 2nd floor are still being remediated. Work will continue in those isolated areas next week. All services apart from Diabetes and Endocrine services and Ophthalmology [the Eye service] will be back in their usual locations in the Outpatients building next week. Some people with essential eye appointments are being seen in alternative locations, with a only a small number being seen in the Outpatients building from Monday. However, some eye appointments for next week have had to be rescheduled. Since the flooding occurred we have had to postpone and reschedule around 700 outpatient appointments a day. During this time arrangements have also be made for some urgent appointments for acutely unwell people to go ahead in alternative locations. Contacting patients and rescheduling so many appointments has been a massive undertaking for our administrative staff, and I’d like to thank all of our teams who have worked extremely hard to contact the thousands of people affected. I would also like to thank the public for their patience as we know having your appointment postponed and rescheduled has been disappointing and inconvenient and we apologise for this unexpected disruption. 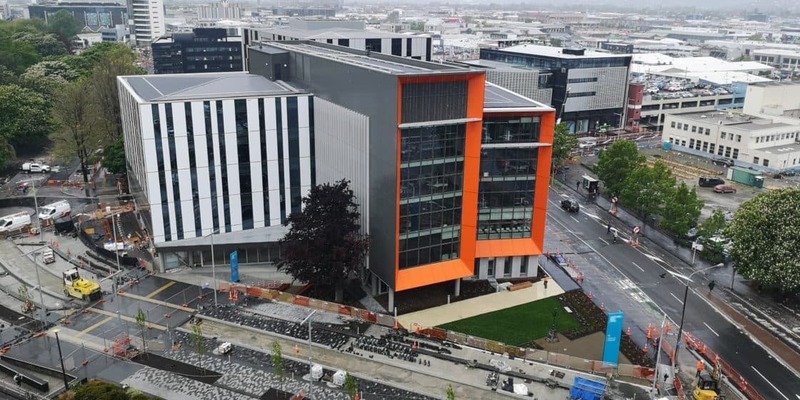 Early in the morning on Friday 29 March, steam from a burst heating pipe activated the fire sprinkler system which flooded the new Christchurch Outpatients building. There was significant damage to some walls, floors and ceilings. *Please note that existing appointments at Christchurch Women’s, Christchurch Hospital or Burwood Hospital have not been affected.